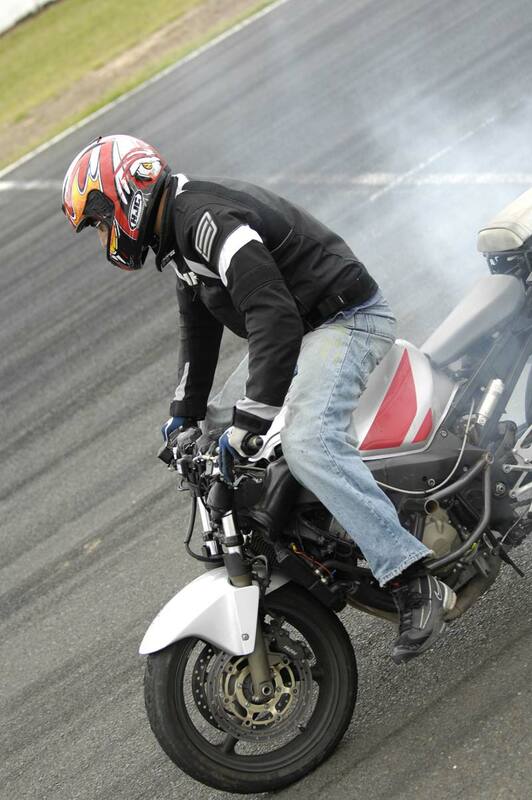 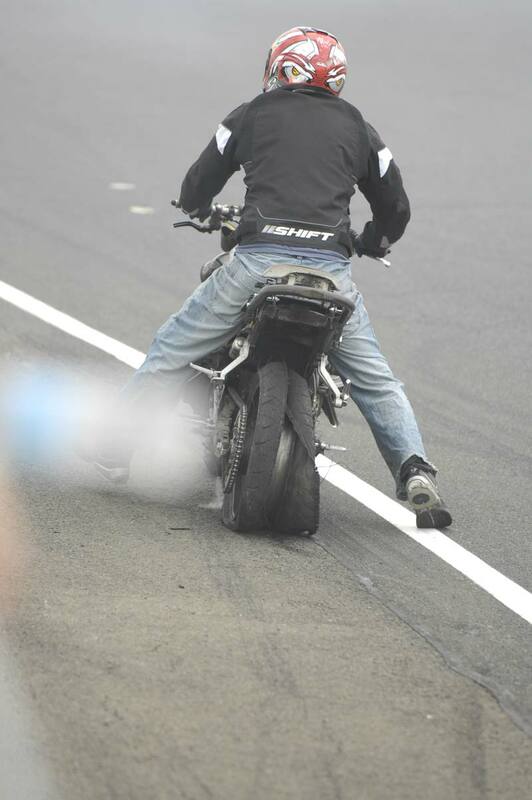 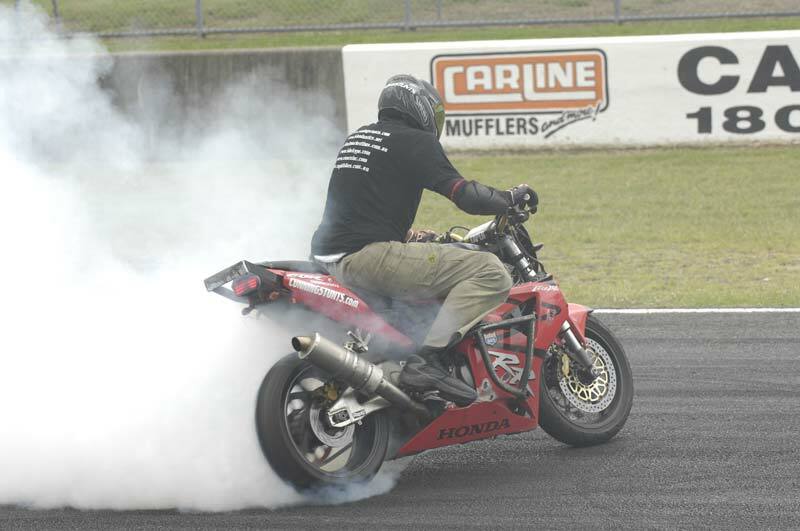 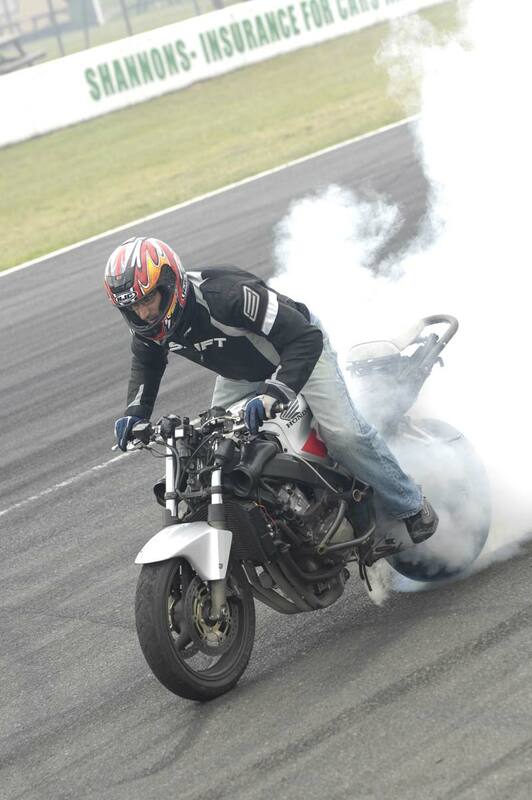 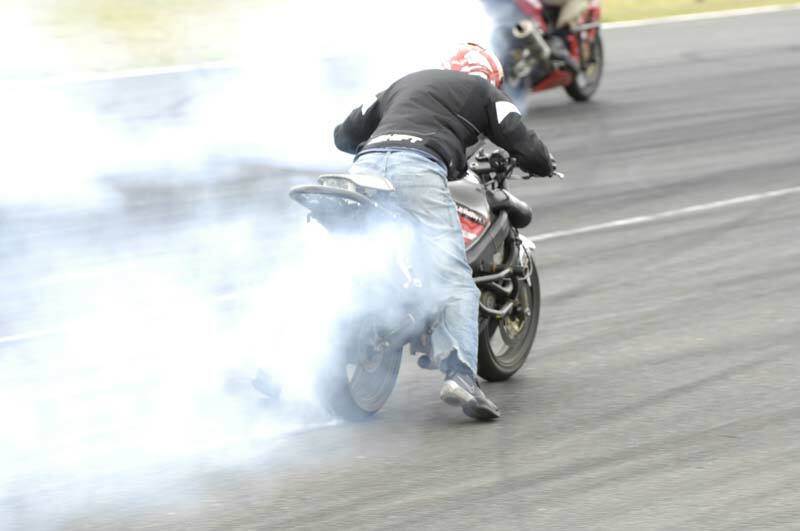 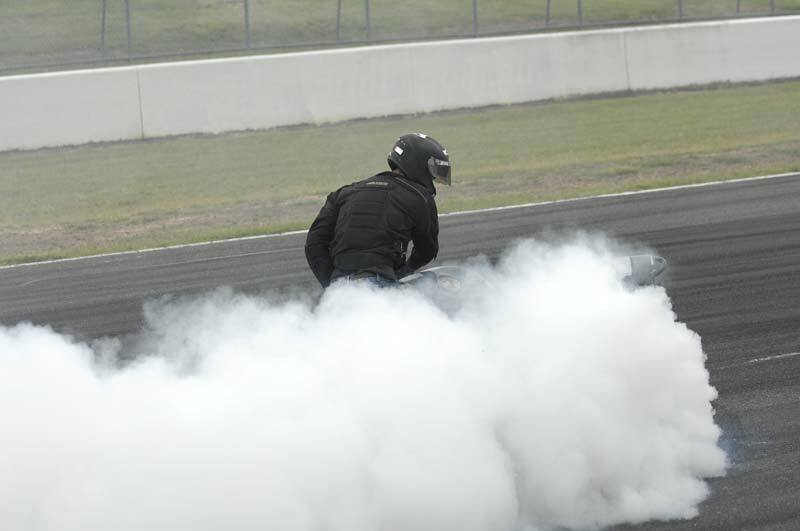 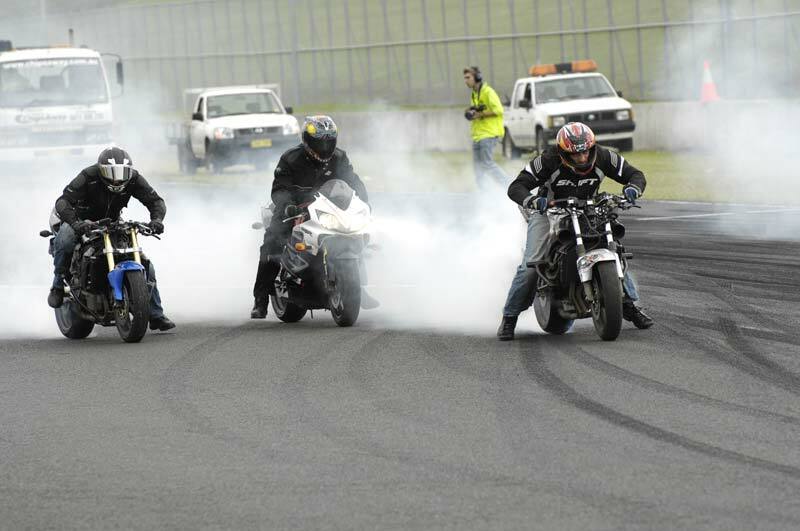 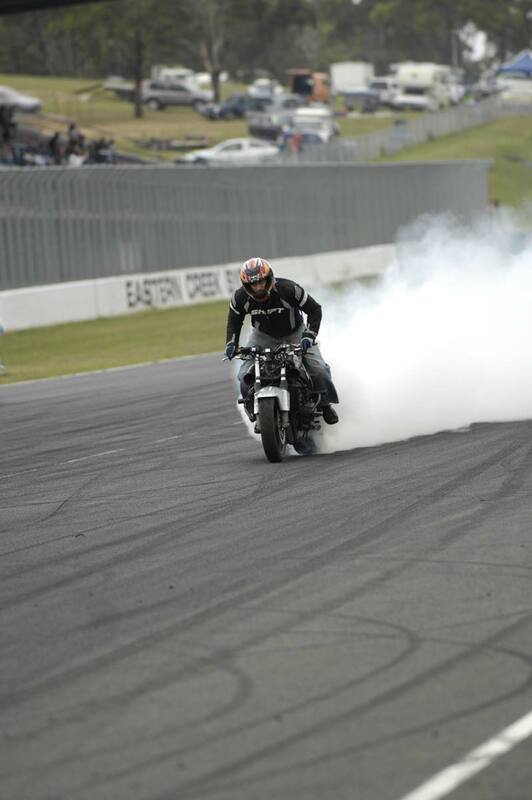 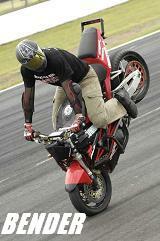 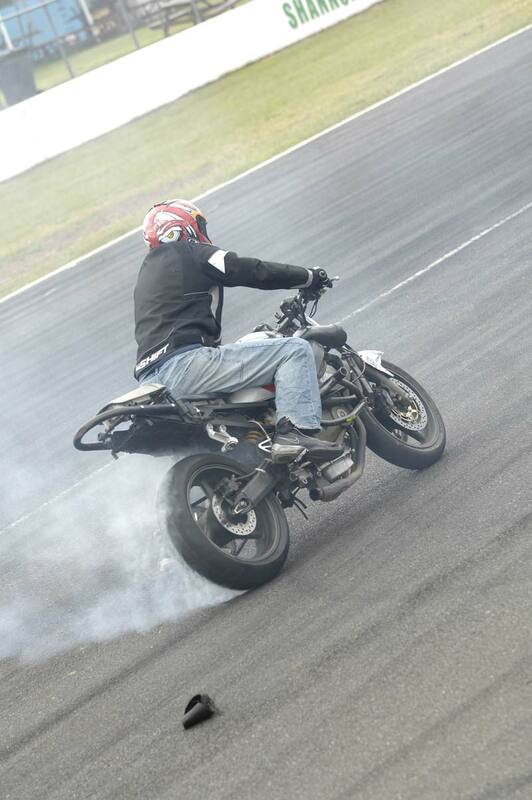 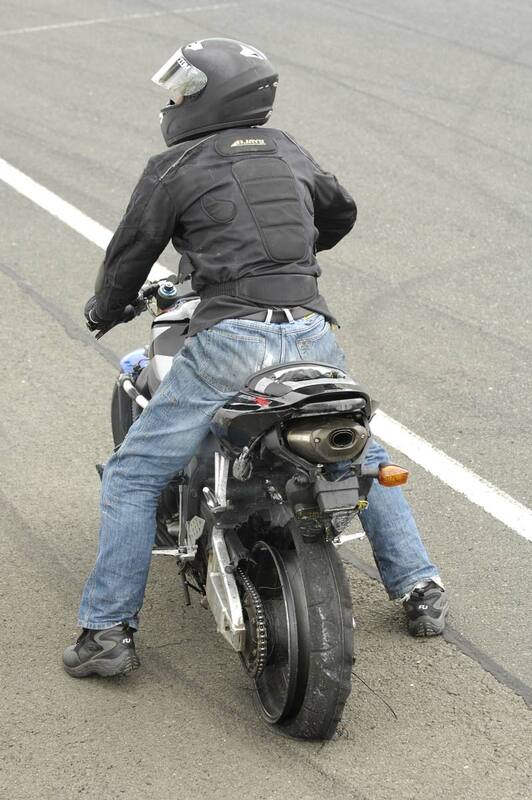 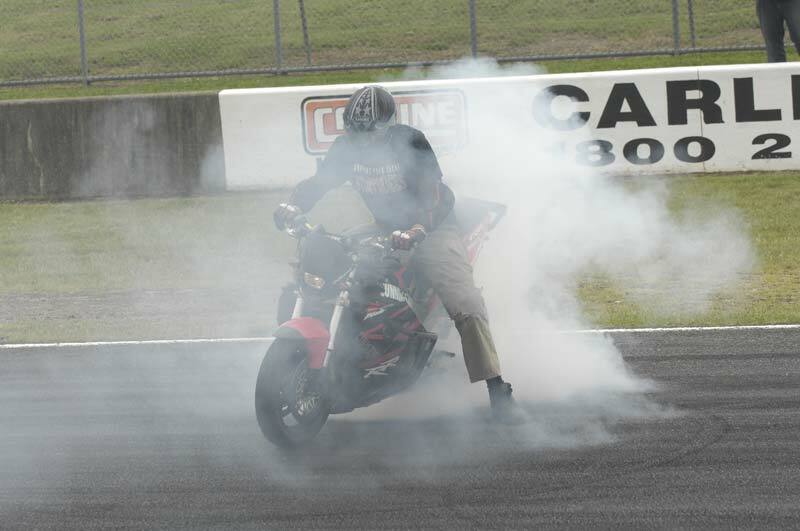 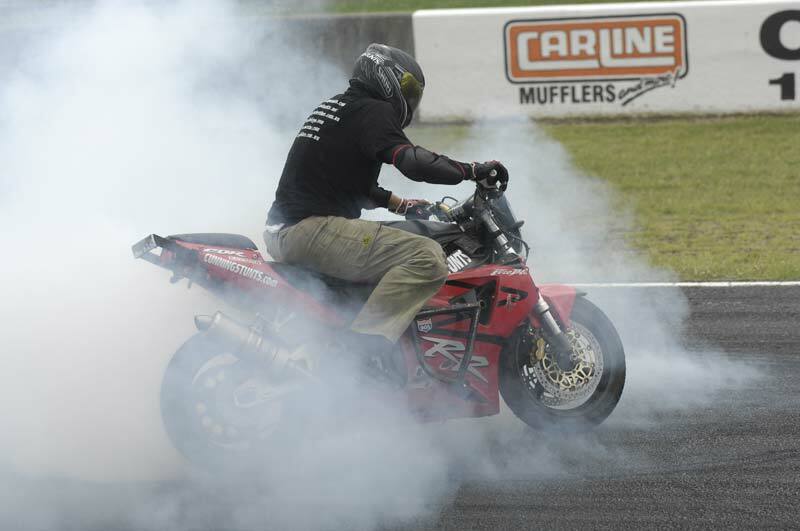 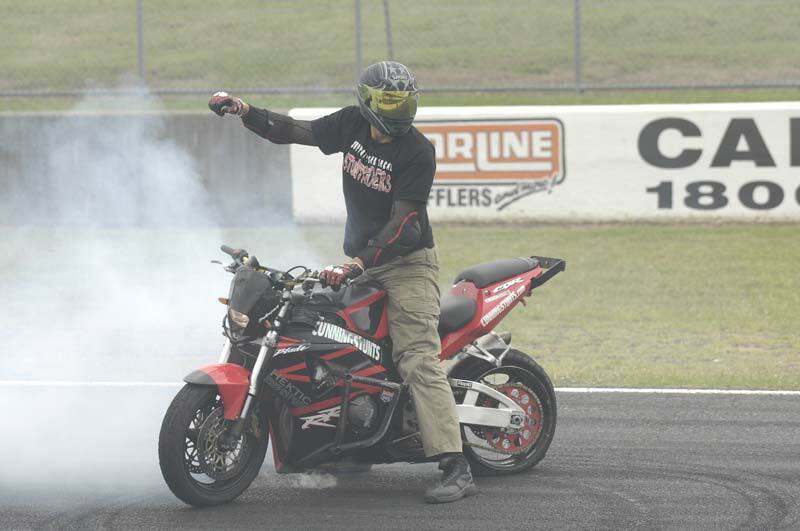 Cunningstunts regularly perform at Power Cruise at Eastern Creek to keep the crowd entrained in between the car show events. 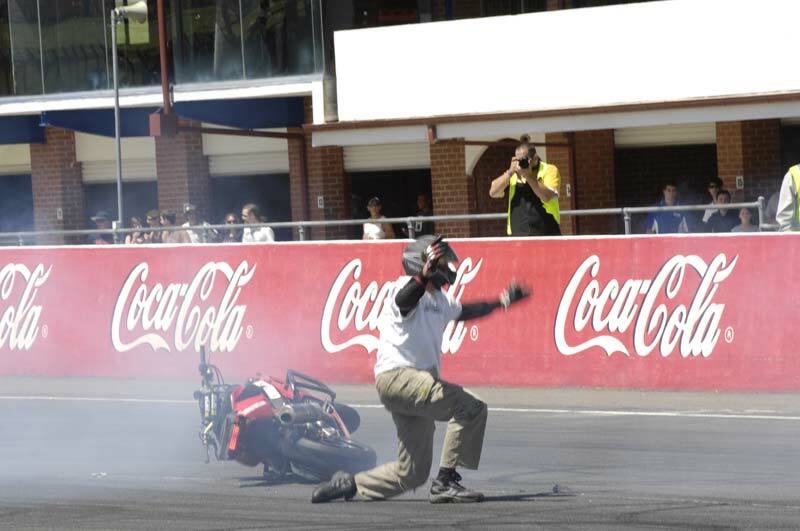 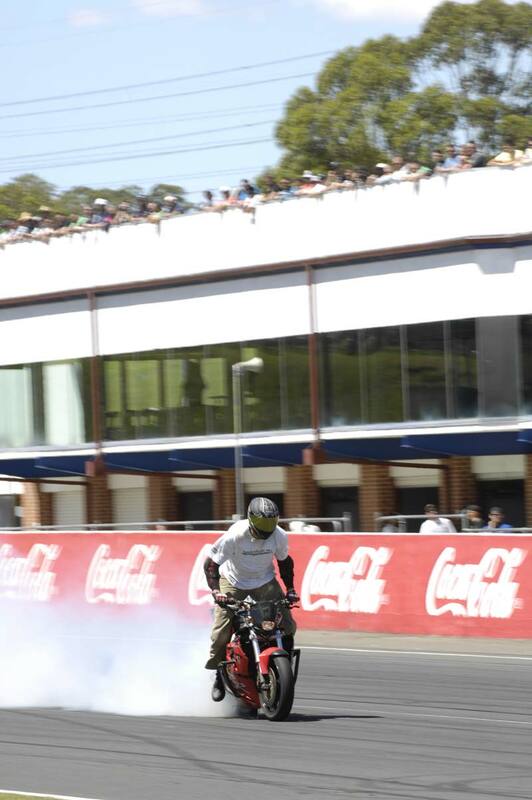 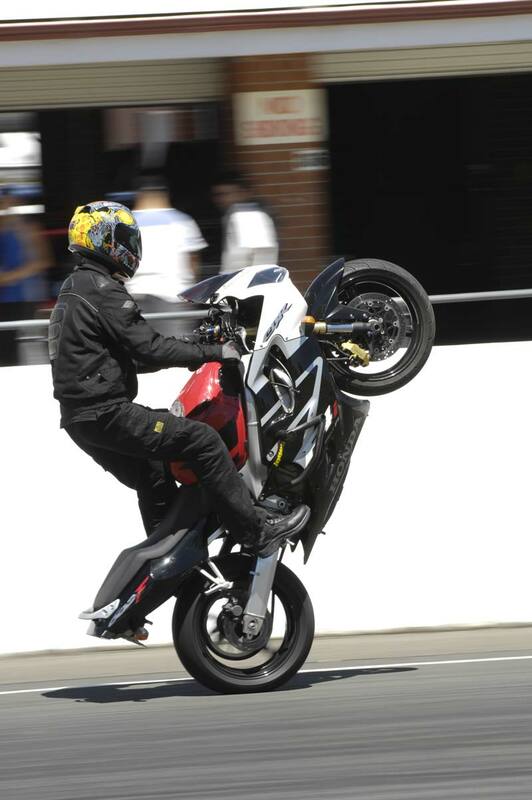 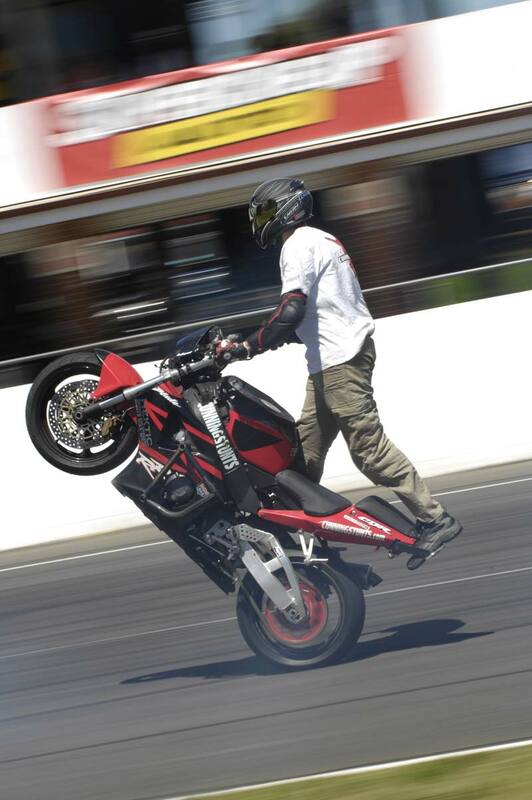 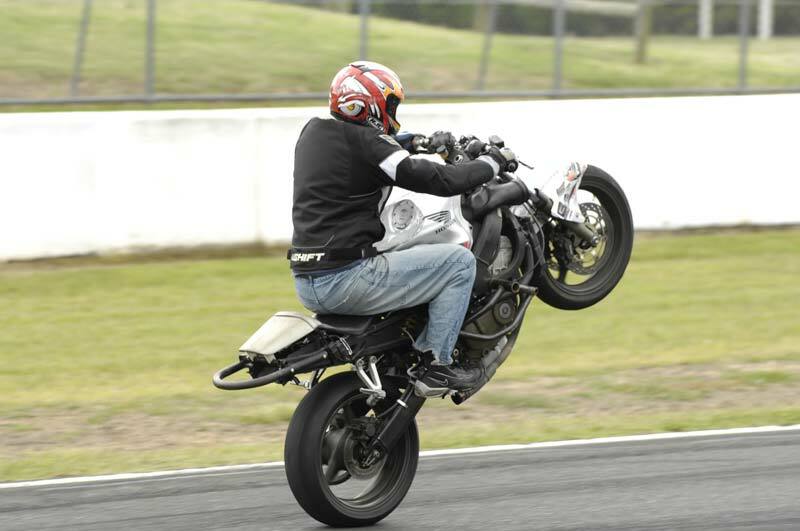 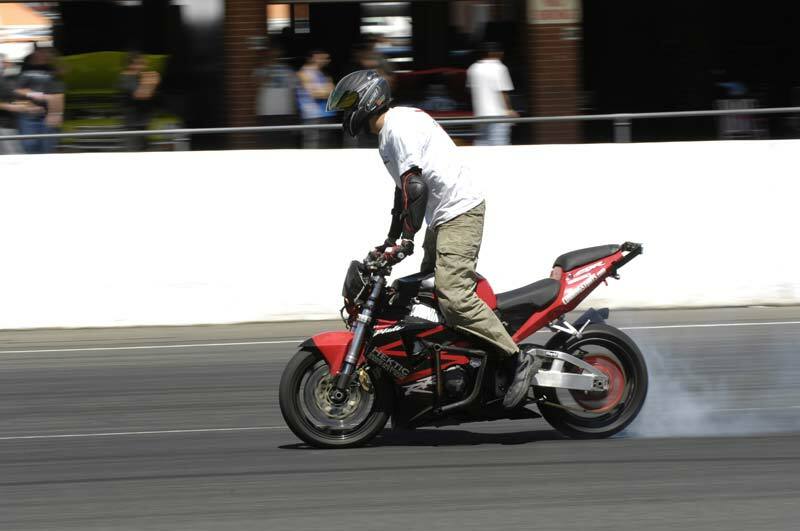 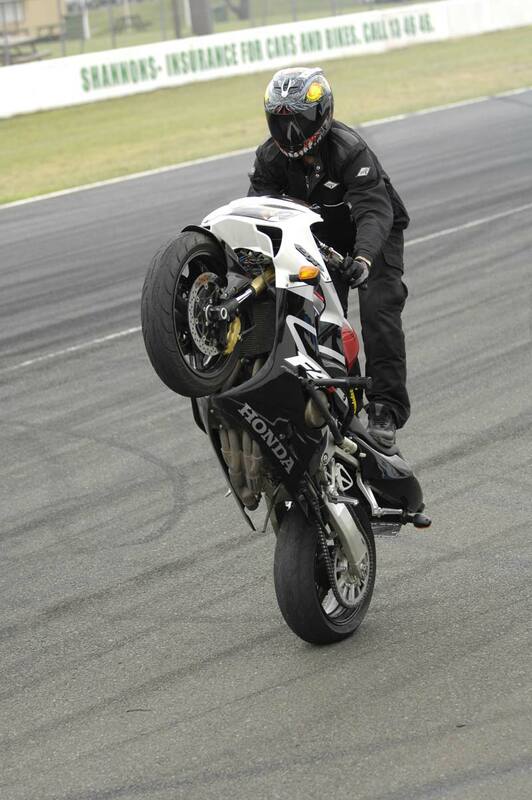 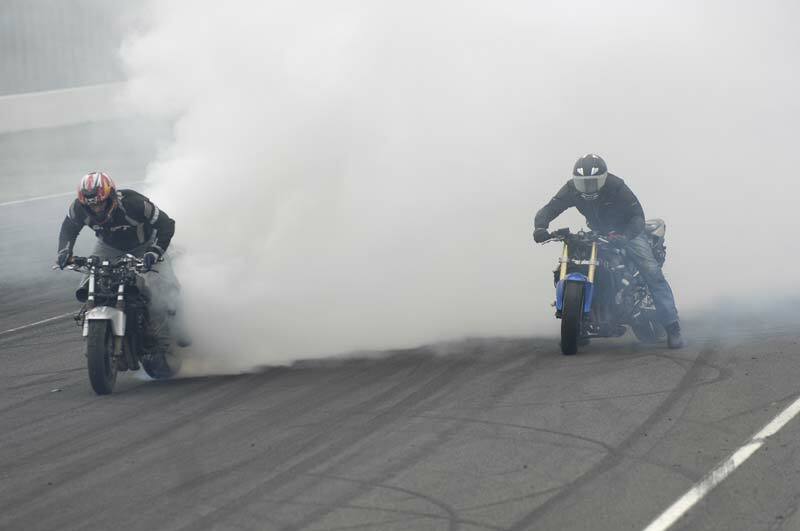 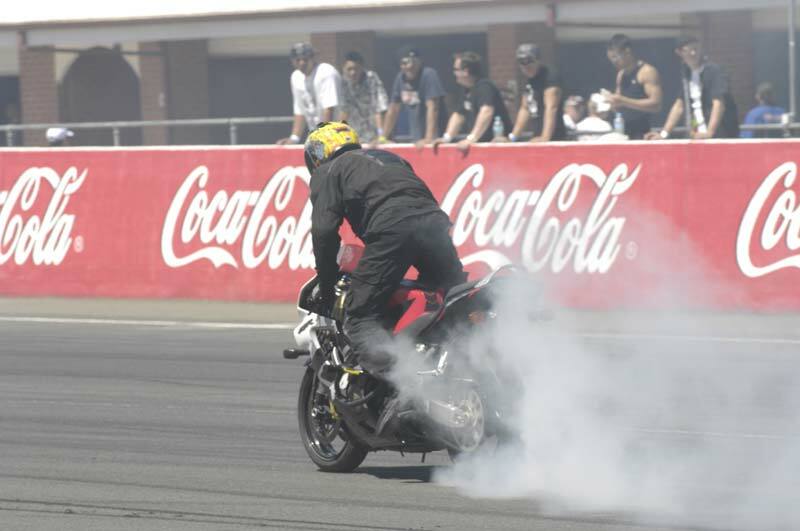 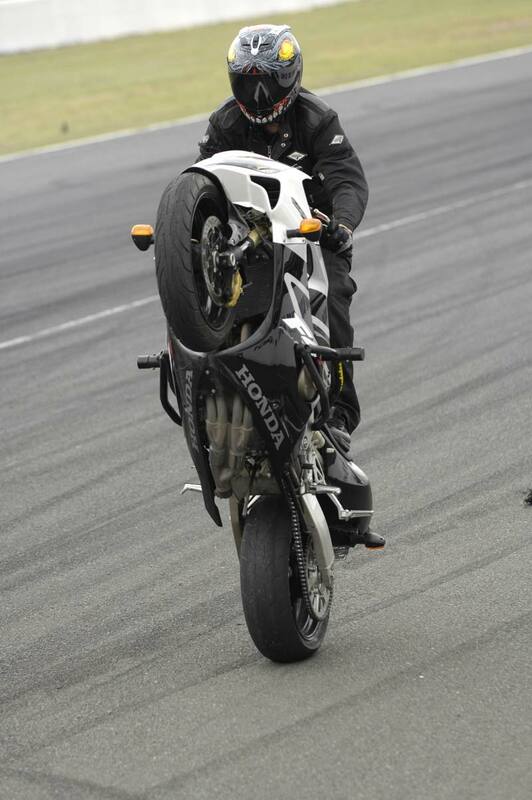 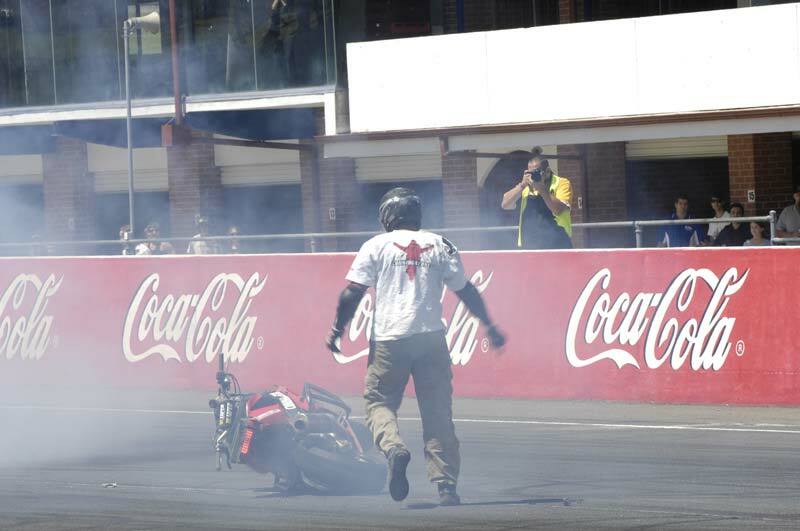 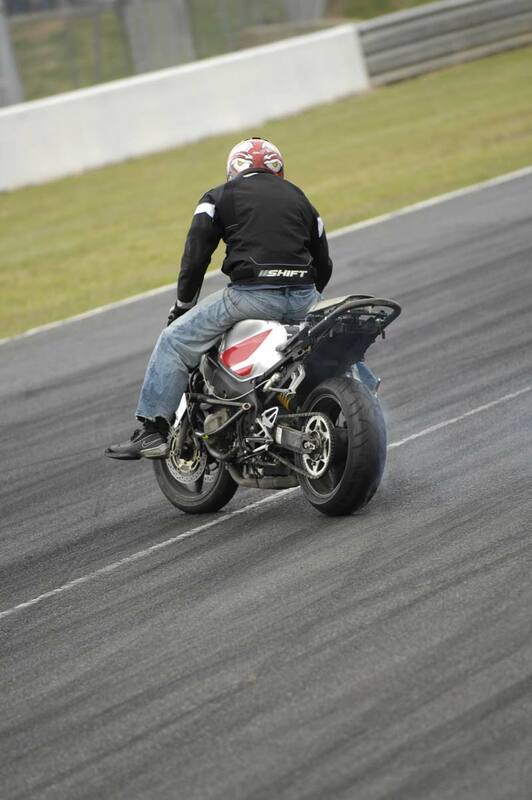 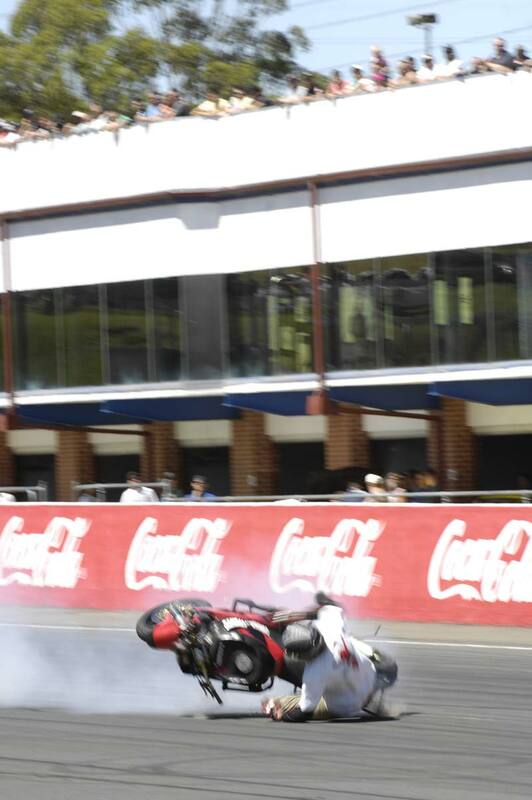 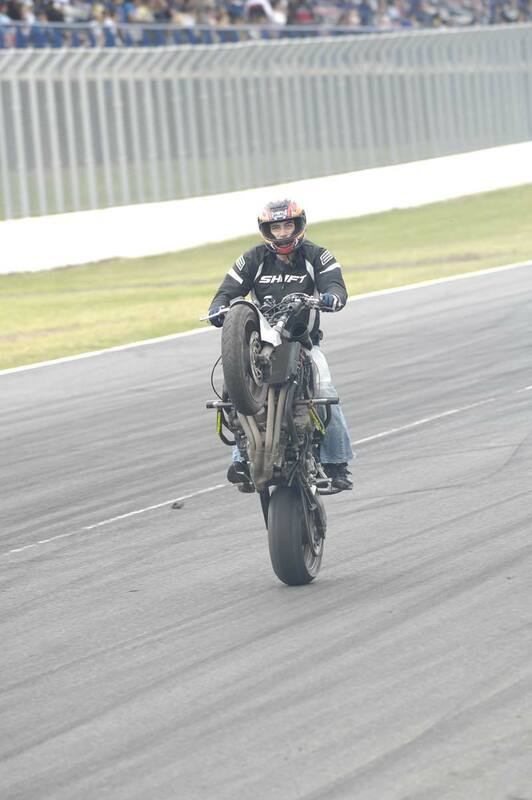 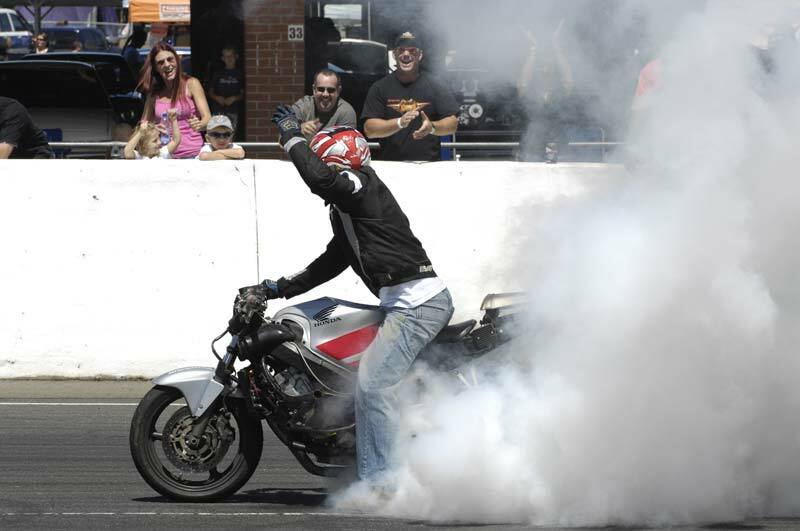 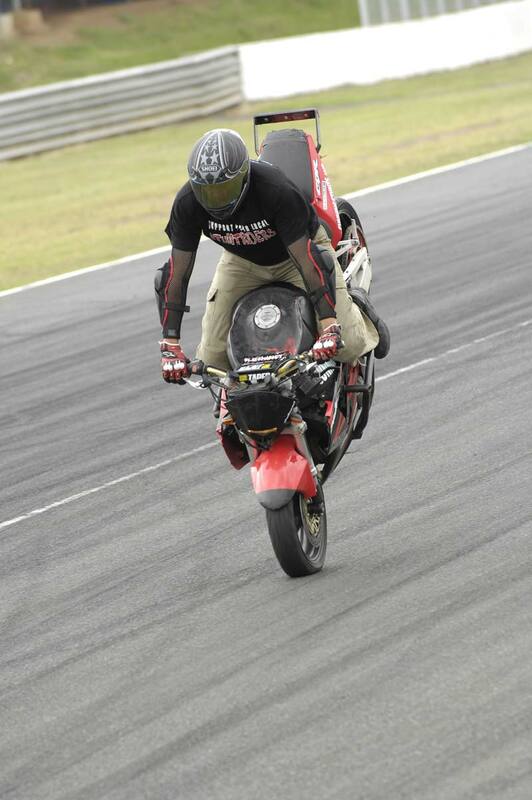 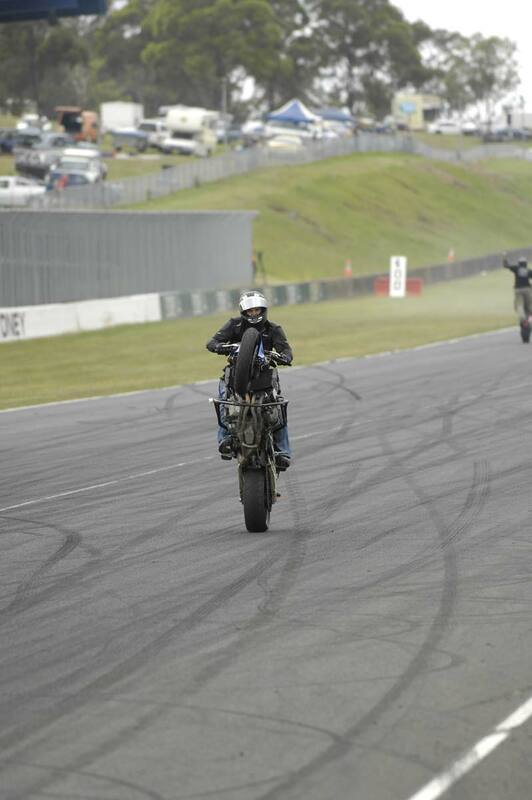 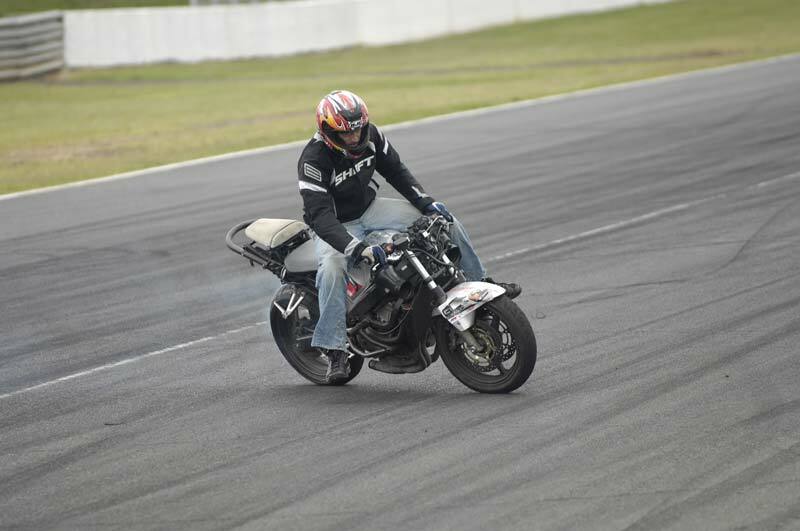 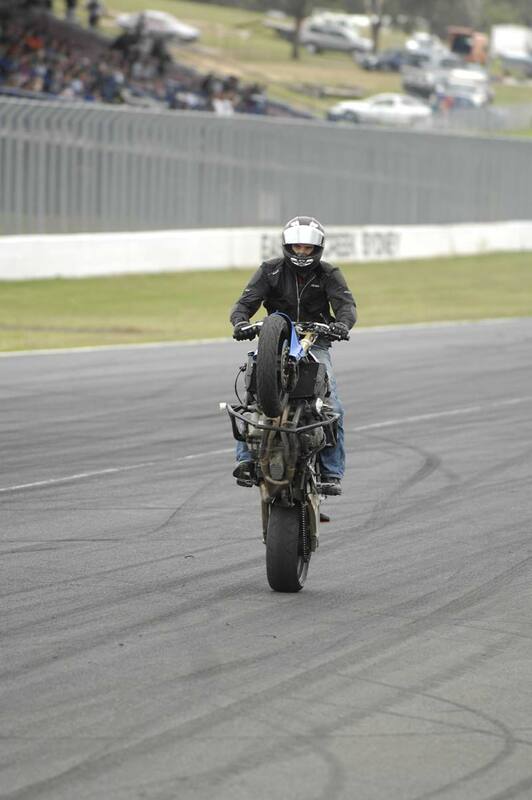 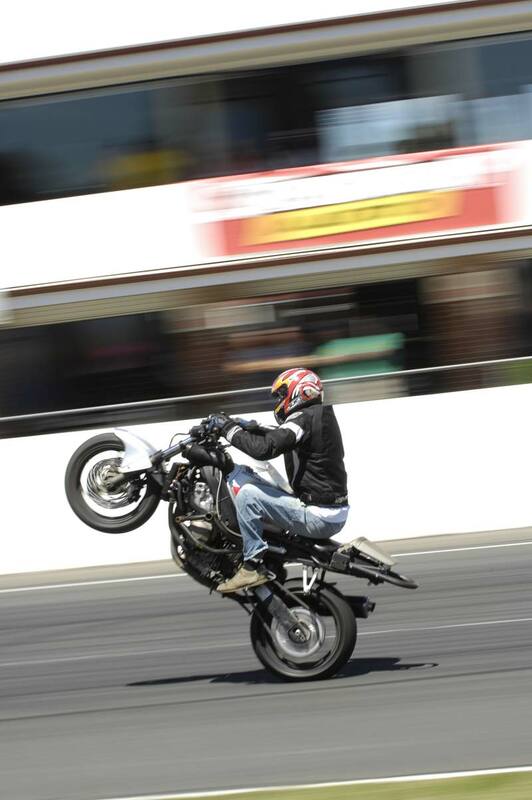 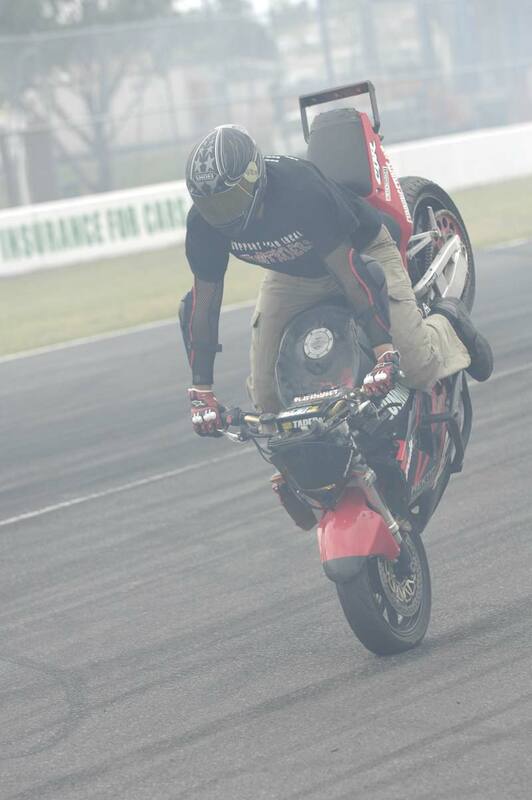 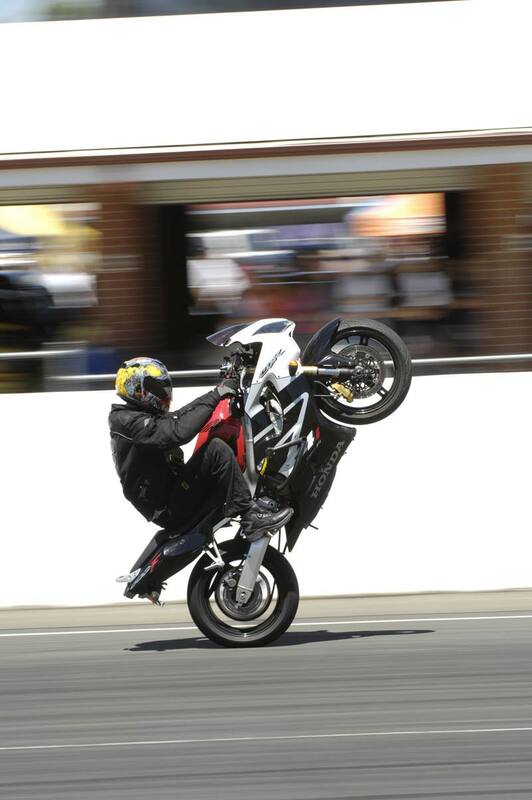 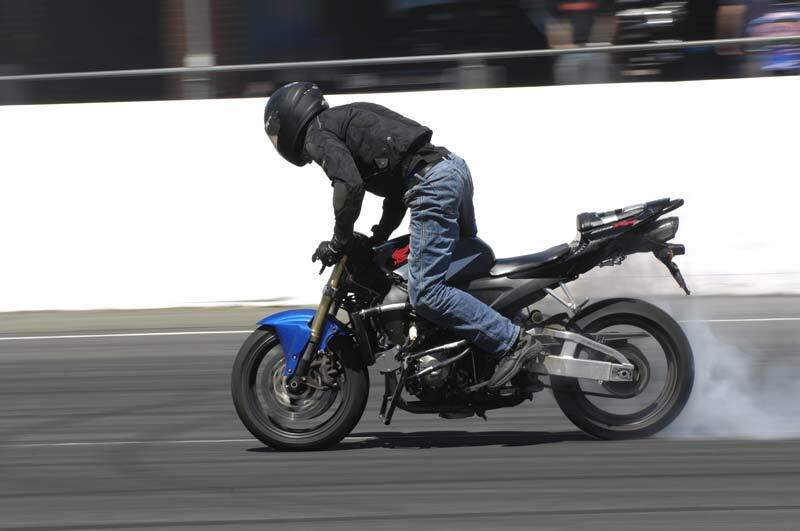 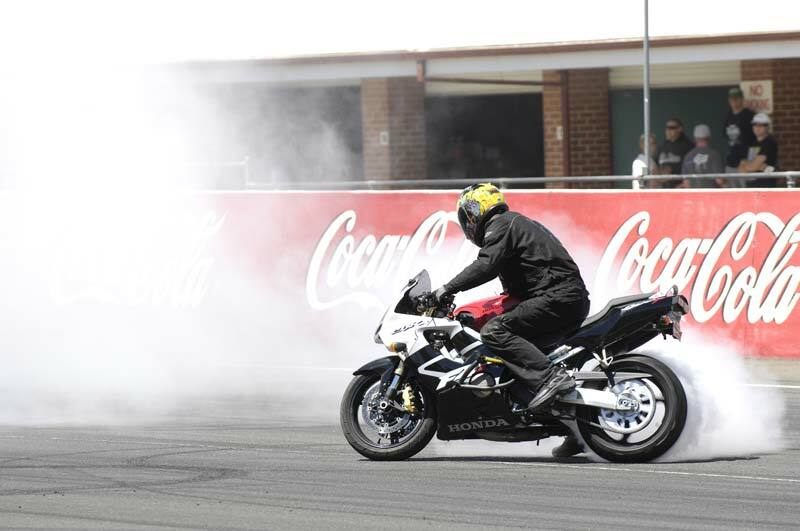 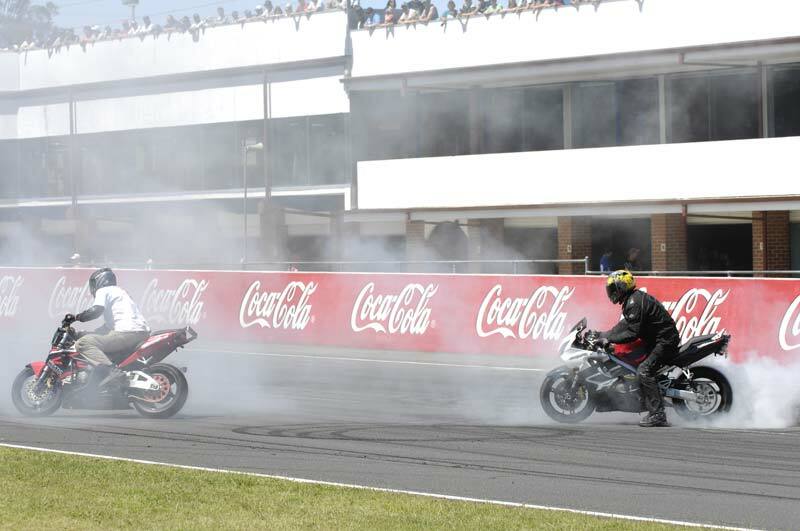 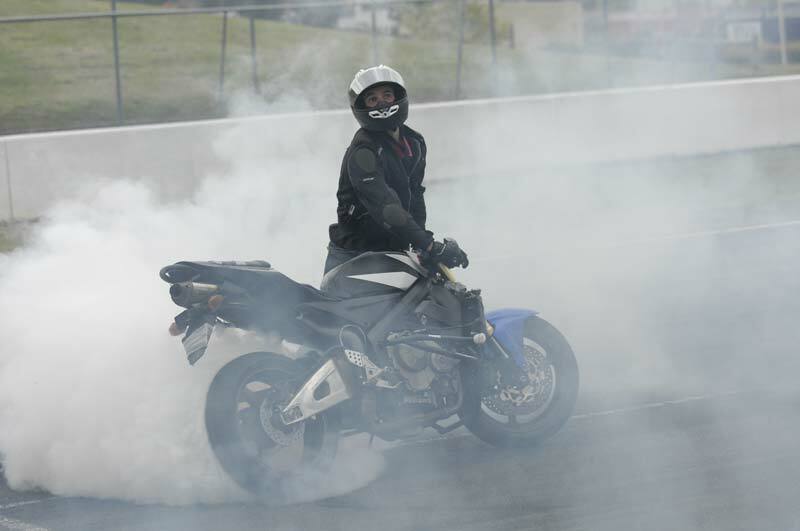 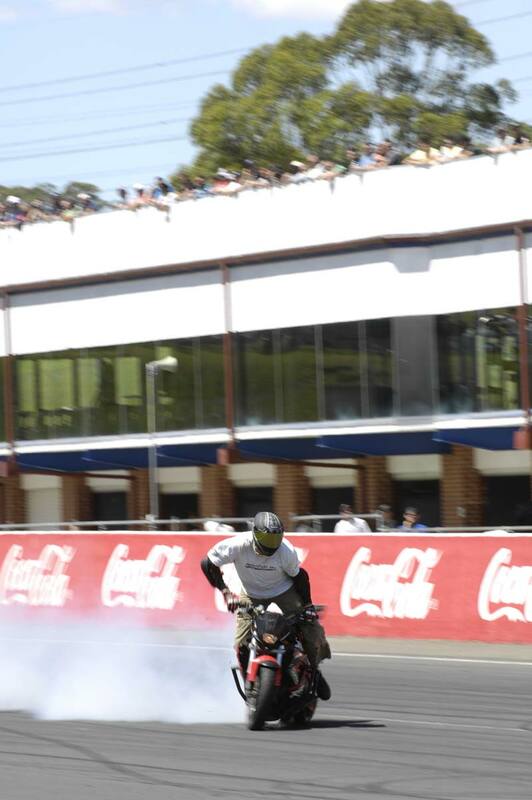 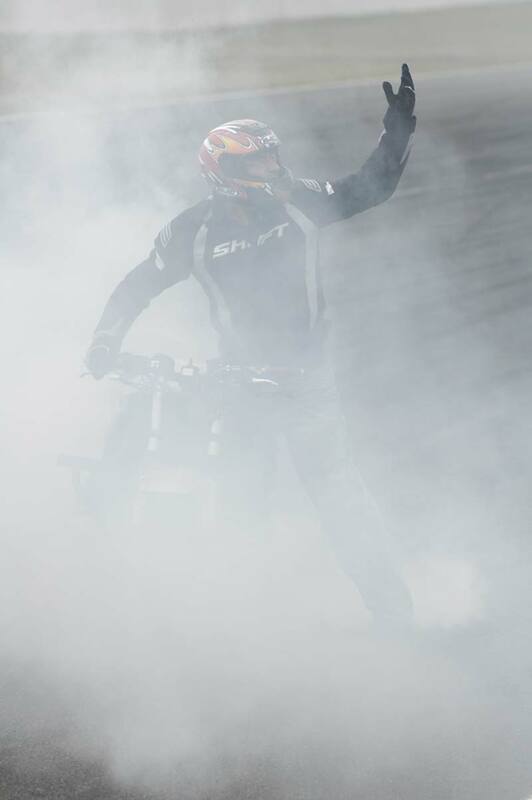 In previous years, the crowd were on their feet cheering for more as the riders from Team Cunningstunts mesmerised them with the longest stoppies in Australia, high chair wheelies, spreaders, twelve o'clocks, and the biggest burnouts imaginable. 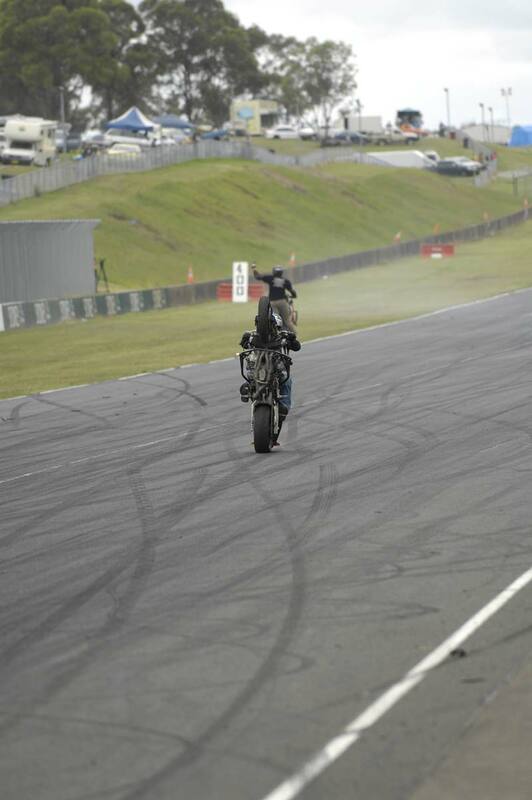 This year was no different. 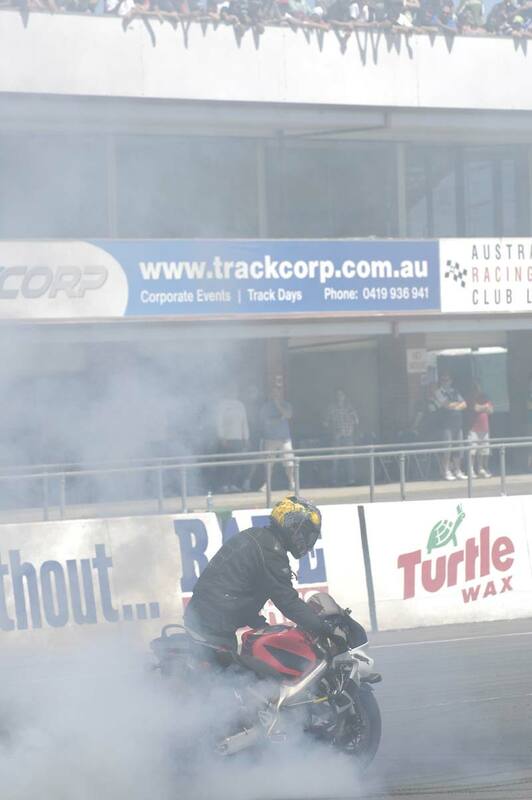 Thanks to 'Jim the Greek' for supplying these fantastic photos. 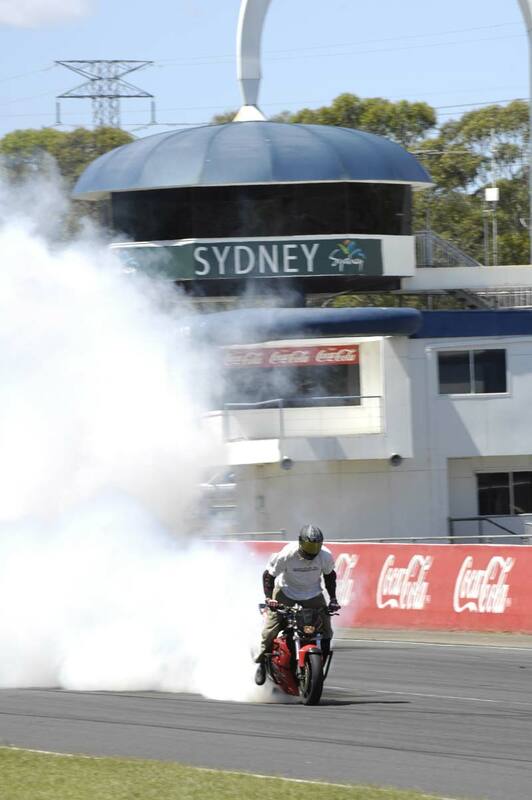 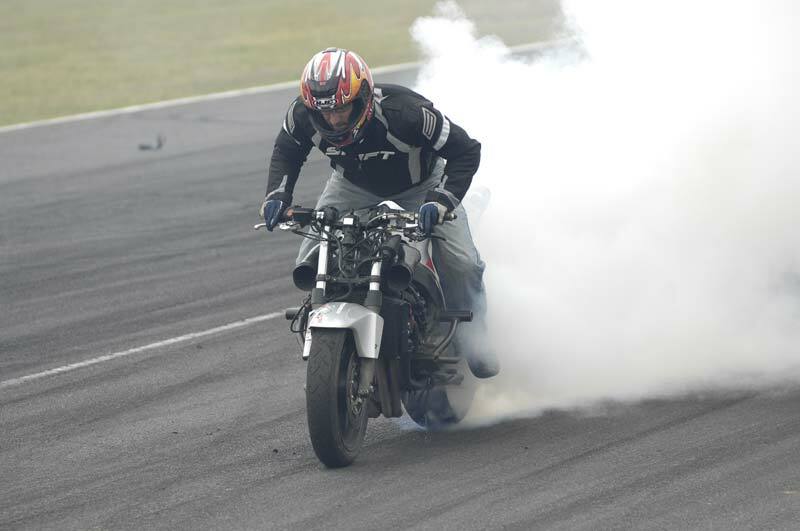 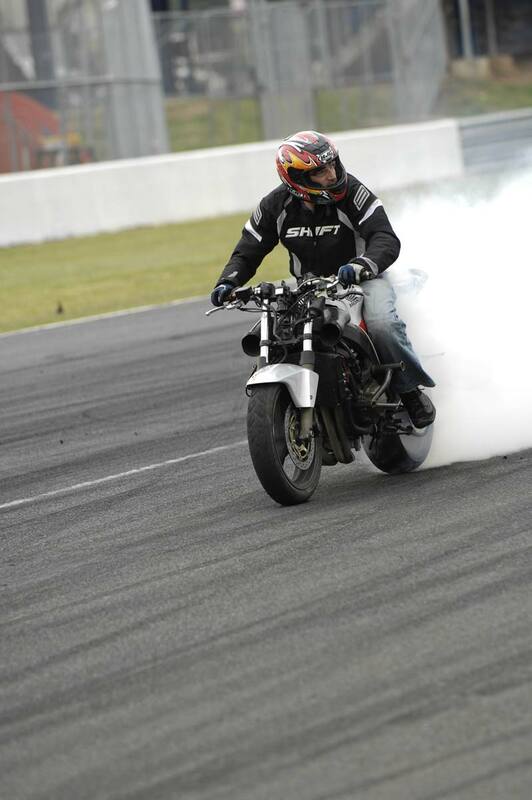 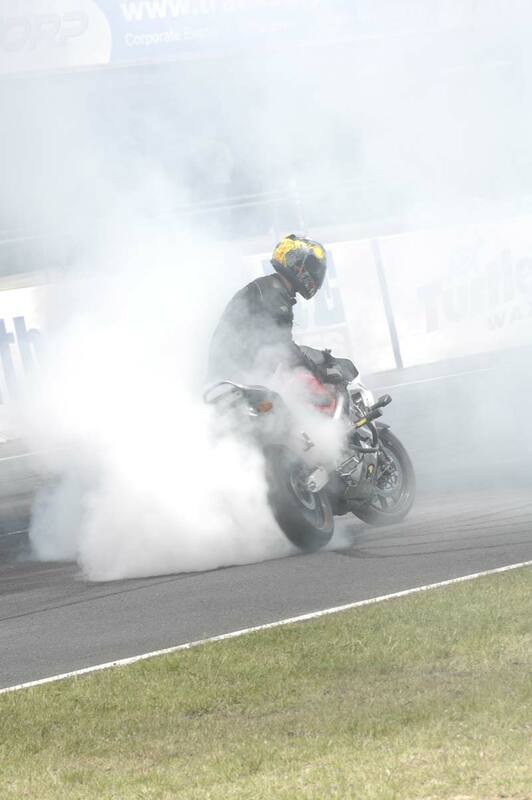 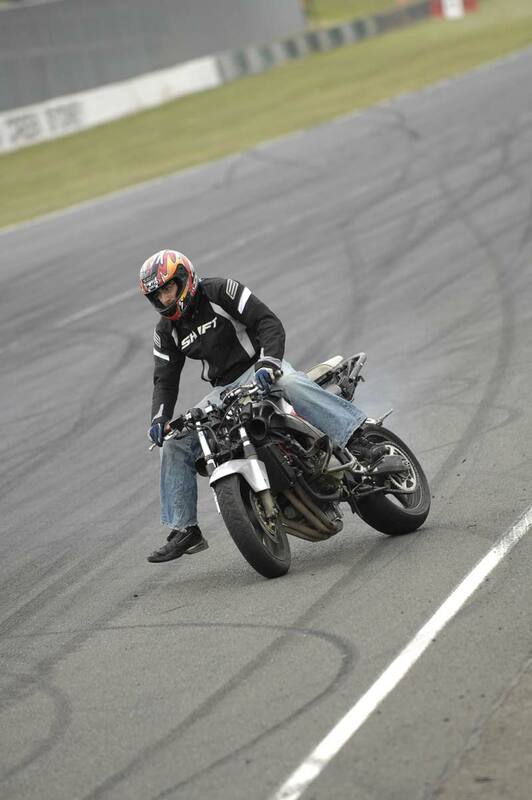 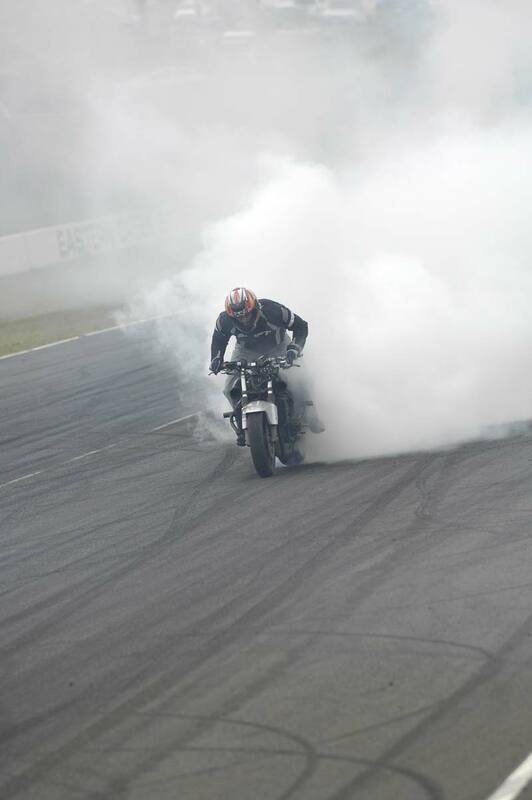 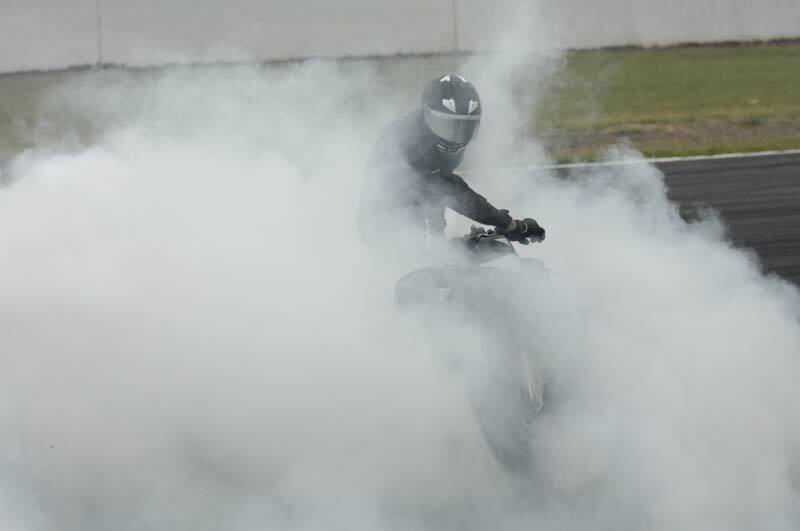 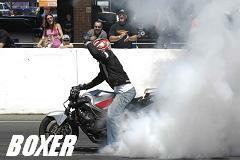 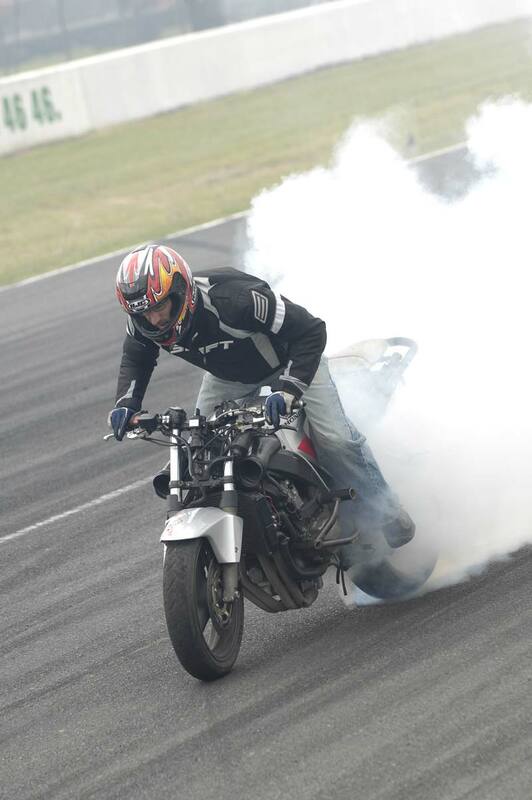 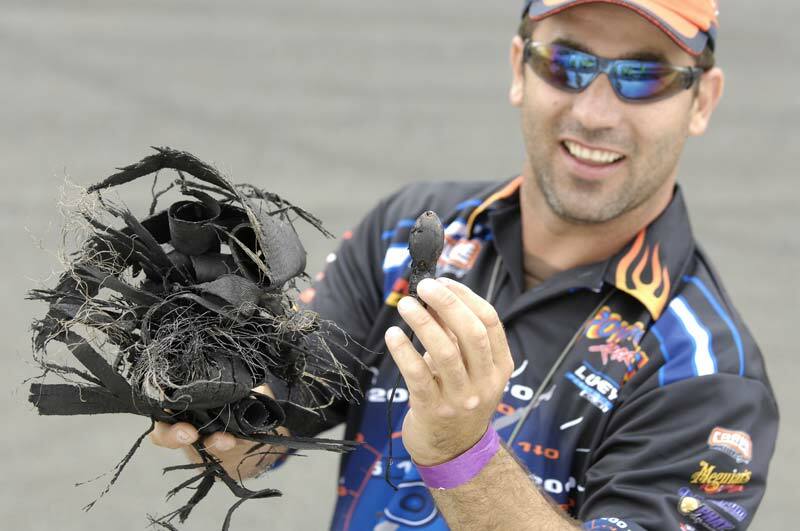 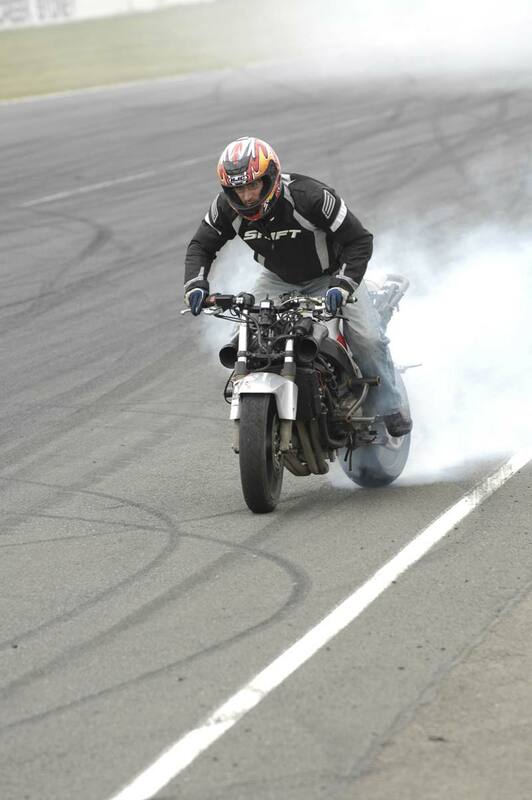 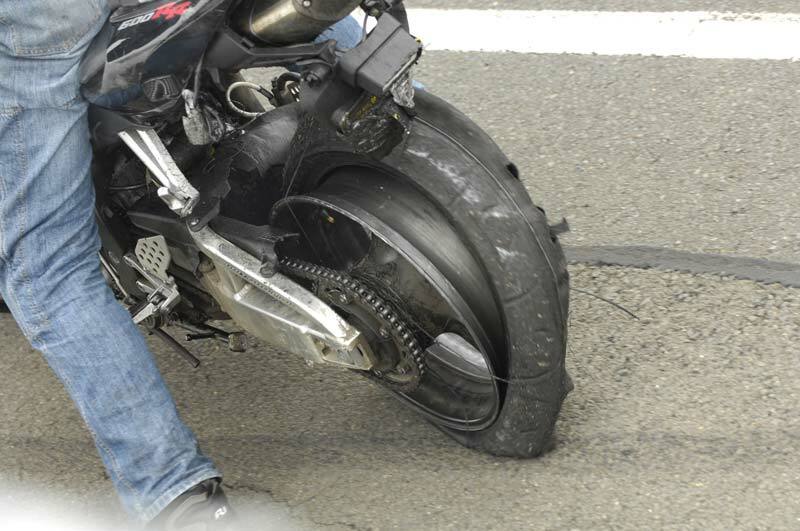 Bender's big burnout crash in spectacular style!